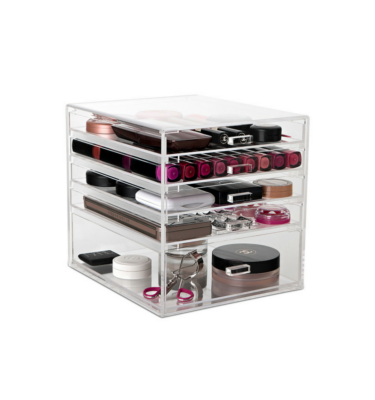 Storing your Makeup has never been more simple! 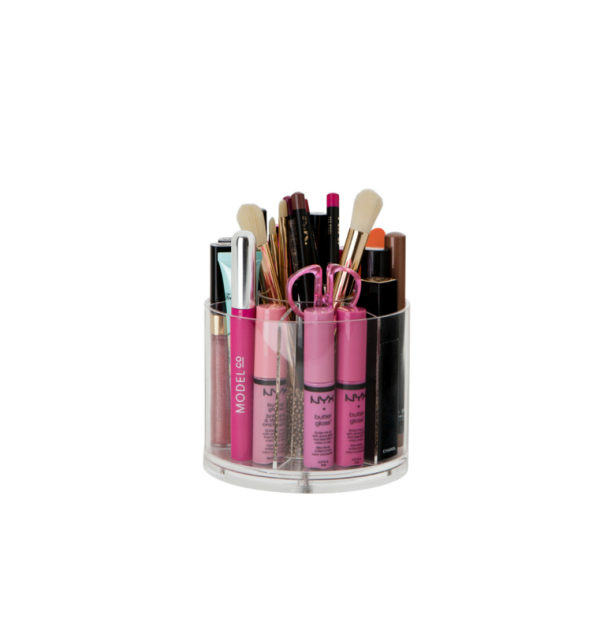 No more wasting time digging through your makeup bag or bathroom drawer. 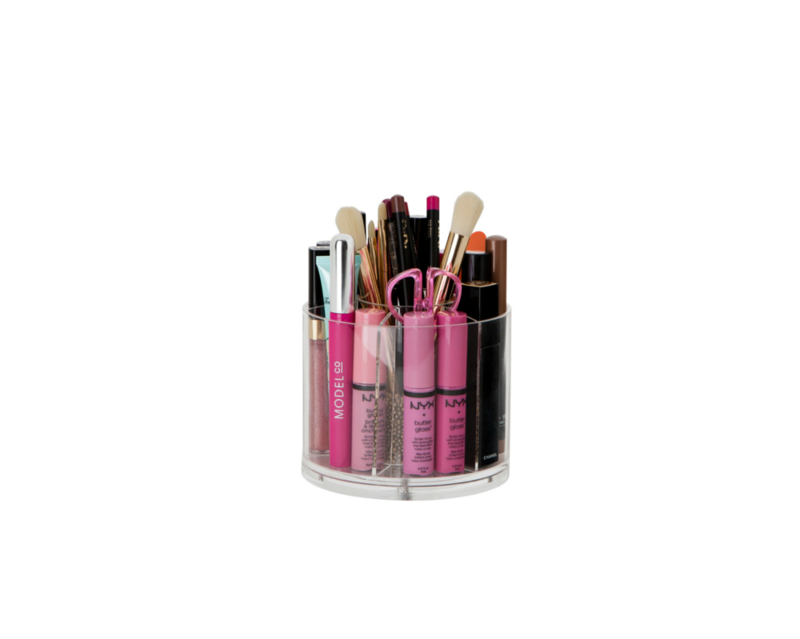 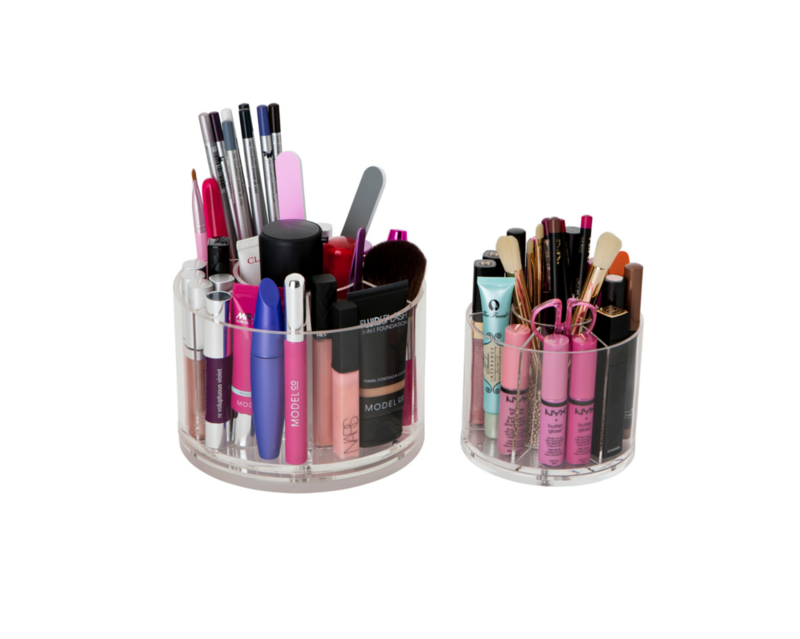 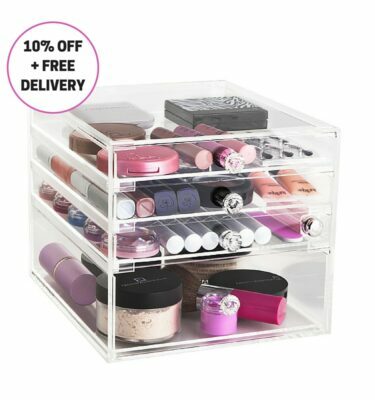 Store your Brushes, Lipglosses, Mascaras and Eyeliners in this acrylic unit which also spins for convenience of locating what you are after!